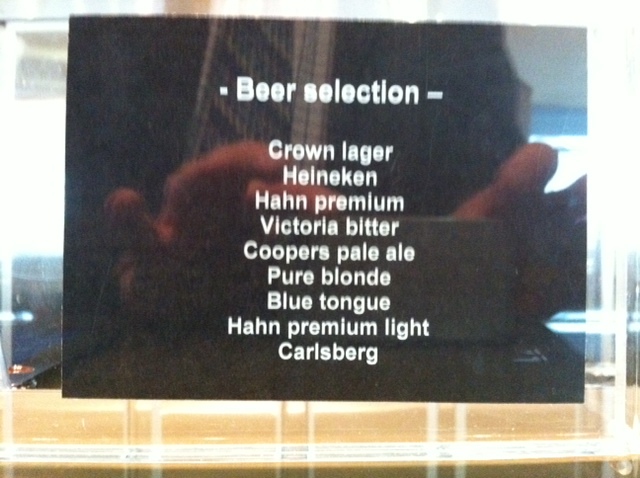 The beer list at Qantas Clubs has taken a major dive. Not long ago you could endure a flight delay by getting the occasional Fat Yak from @Matildabaybeer. Now the photo shows what is available. Disappointing. Qantas needs to check out the competition. Virgin’s lounge offers beez neez and the Fat Yak. No wonder Qantas’ share price is under stress.